We all have heard about steam engines, a big giant engine on train, producing enough power to pull huge boogies attached to it. But today, we are going to discuss about engines opposite to train engines, an engine which is small engine but produce enough torque to move our bicycle forward. Cycle which is powered by engines is called as motorized bicycle. A motorized bicycle is a bicycle with an attached motor and transmission used either to power the vehicle unassisted, or to assist with pedaling. Since it always retains both pedals and a discrete connected drive for rider-powered propulsion, the motorized bicycle is in technical terms a true bicycle, albeit a power-assisted one. The history of the steam engine stretches back as far as the first century AD. 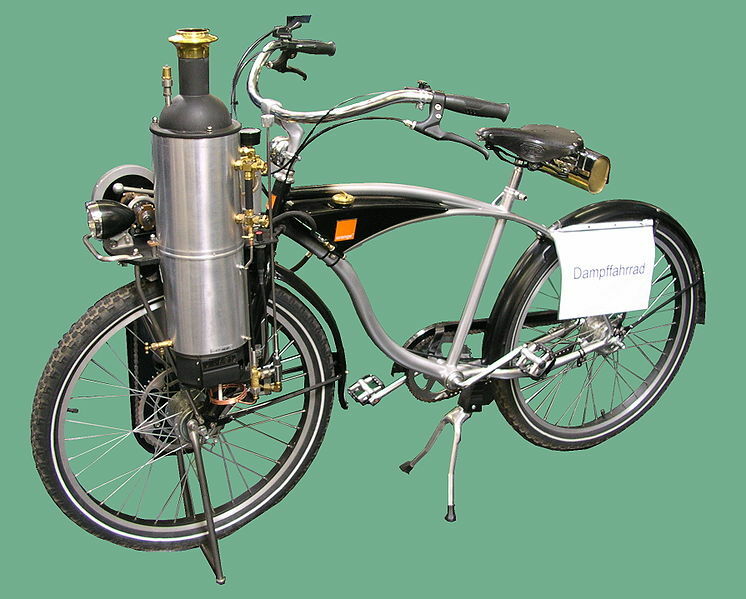 The first commercially successful engine was the atmospheric engine, invented by Thomas Newcomen around 1712. To understand concept of engines and how they work, you should start with something very historical such as steam engines. This project used with old cycle would not cost much and will be great learning experience for you. Are Steam engines relevant in modern world? Despite many people think steam engine as outdated material, however it is important to remember that the power supplied to the electric grid is predominantly generated using steam turbine plant, so that indirectly the world’s industry is still dependent on steam power.